I’m going to begin this entry a little off-topic, at least as far as the title goes; I was discussing browsers and ‘the browser war’ with a friend the other day when it seemed that I was, for some reason, ignoring my own advice, which was that everyone interested in speed should use Google Chrome. I was saying how I knew (‘knew’ in the sense that I had read in a number of reasonably reputable sources) that Chrome was faster than Firefox which in turn was faster than IE, and yet I persisted in using Firefox. We speculated whether Google had grown large and popular enough for my personality to turn away from the corporation, but of course realized this was false since (so far, at least) I love everything that Google does and, really, it’s getting kind of scary how much I trust them right now. My friend asked if I used Firefox extensions – of course, I said, they are great – and that of course was the true reason why I had tried Chrome and liked it but turned back to Firefox. Which is not to say that Google Chrome does not have its own extensions and plugins – it’s just that I am well-versed in the extensions of Firefox and so are my friends and colleagues, in which case there are too many productivity related (and, for that matter, non-productivity related) issues for me to switch to Chrome. And this brings me to the topic of improving the user experience. First, let me say that I am about to whole-heartedly plug my favourite extension to date, because it has truly improved my user experience of browsing the internet, and that I will say right now everyone should be using this thing because it is really that great. The thing is called Ubiquity. I will say a few things about it first, and then I encourage you to watch the video which I have (hopefully!) embedded correctly below. (On that note, if anyone knows why I am so far unable to embed things in wordpress, please let me know.) 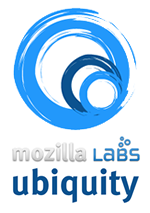 Ubiquity is about improving the way in which we interact with the internet. The idea of the project is to create more of a flow experience in that what you want to do online should really take as few keystrokes as possible – consider Ubiquity a shortcut to a less impressive but still amazing future not unlike the kind of object manipulation and interaction Hollywood has presented to us in films like Minority Report. So, for example, if someone wants to meet you at a certain location and sends an address to you in an email, you should be able to press one or two keys and have a map of that place in front of you. Ditto for adding that date to your calendar. The idea (in my mind at least) is to create shortcuts that get away from the ol’ highlight text, copy, google search, click link, paste, hit enter etc. of yesterday and to get us closer to a future of true object and data manipulation in real-time. While Ubiquity isn’t perfect, the great thing about it is that it exists today, it’s easy to install and use, it is fully customizable meaning you can program your own shortcuts (or mashups), and it really changes the way you think about all the little actions that make up everything you do online, at least in the sense that everything has a process, an order to it, which taken collectively makes the browser experience a series of repeated interactions and iterations that lack the level of interactivity that many of us have come to expect from the promise of a tomorrow that is never far off yet never quite comes into sharp relief. The title of one of my favourite blogs sums it up best – Where’s my Jetpack? The second design and user experience thing on my mind can really only be seen to be understood, and so I will once again try to embed a TED talk onto this site. This gets a lot closer to the Minority Report ideal, but of course, while this thing exists, unlike Ubiquity it does not exist (yet) for you and me to use. But it is definitely worth a viewing and it is less than 9 minutes long. It is entitled Unveiling the ‘Sixth Sense,’ game changing wearable tech and it is presented by Pattie Maes and Pranav Mistry, of the aptly-named Fluid Interfaces Group at the MIT Media Lab. My guess is neither of these will embed properly so I have, quite amazingly, used foresight and added links to each video. Ubiquity’s is here and Patti Maes is here. Man, I really can’t wait for the future when I can simply think and have a blog entry appear online. Good times ahead folks. What free online productivity tools do you use? Do you know of any other demonstrations of human-computer interaction that could change the way we use technology in the future? Ha ha! Embedding = success! never knew about this stuff and now that i do, i’m gonna go check it out and hopefully start using it, thanks for the info! Thanks mcurley32! Hope you enjoy Ubiquity…it’s been a great firefox add-on for me. And it’s tough to go wrong with TED talks.